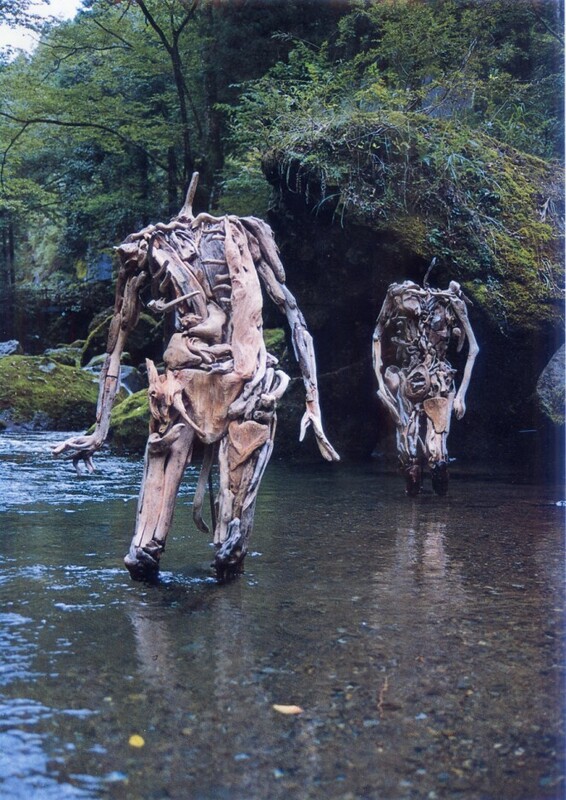 If you happen to stroll through the forests of Japan, you may come upon the work of artist Nagato Iwasaki. 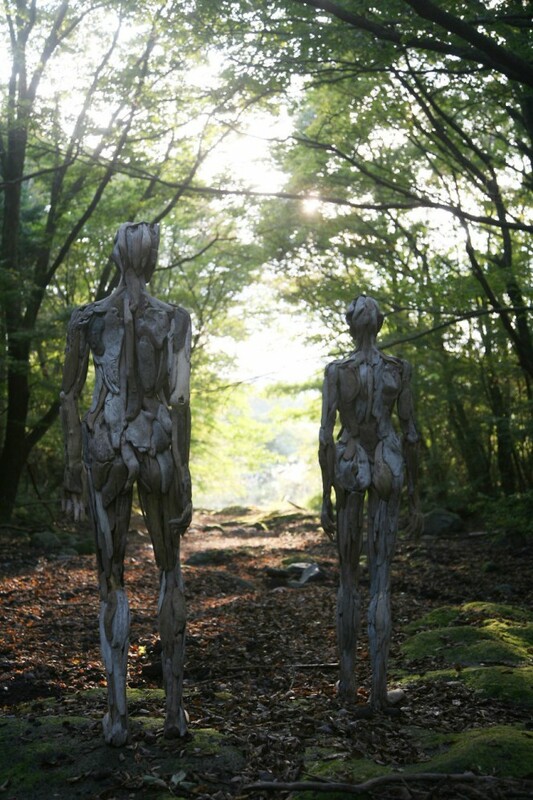 Nagato’s work is scattered throughout the woods, and it is definitely something you have never seen before. 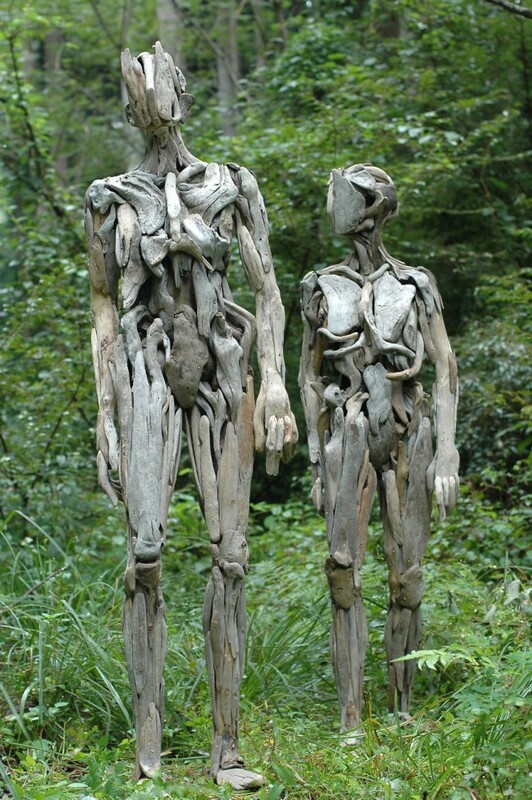 You can find Nagato’s sculptures deep in the woods. 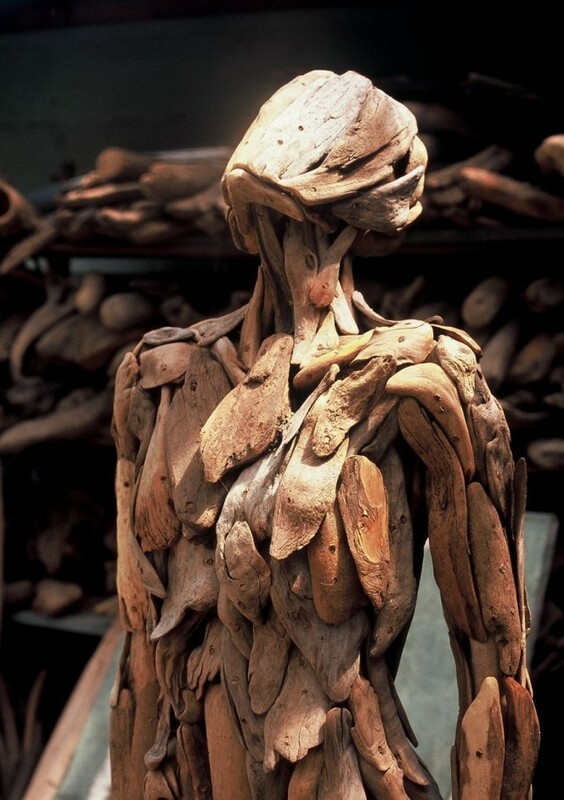 They are inspired by the human body and are sculpted completely from driftwood. You may want to visit them during the daytime, in the dark may be a tad spooky! 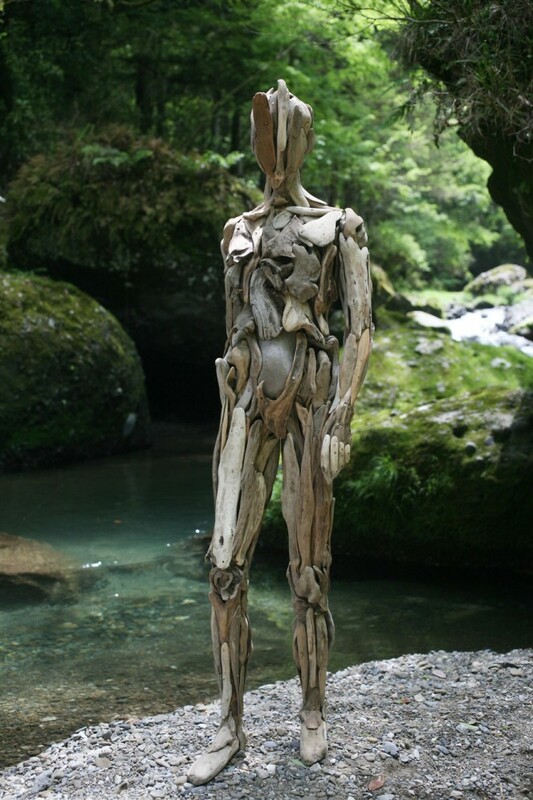 Nagato’s humanoids would likely frighten any unsuspecting person wandering through the forest. Nagato created them in all shapes and sizes.